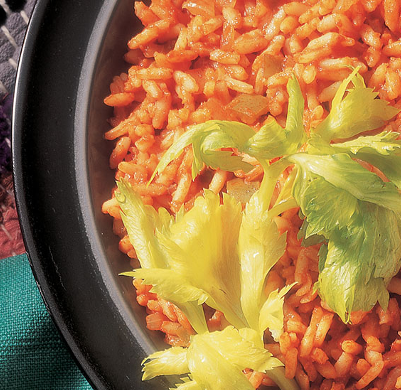 Say goodbye to plain rice – say hello to delicious zesty chilli rice! The ideal side dish to liven things up. Add the oil to a saucepan and fry the pepper and the onion until they are cooked through. Next, stir in the V8 Original, garlic powder and rice into your saucepan and bring to the boil. Turn the heat down to low and then cover and cook for a further 20 minutes or until the rice is cooked and has absorbed all the liquid. Finally, stir in the Monterey Jack cheese and add your favourite chilli sauce to flavour.